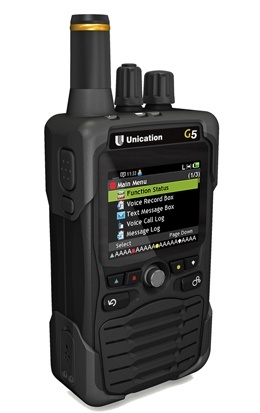 The G1 pager is rich with standard features including 16 minutes of stored voice and 11 minutes of voice memo. 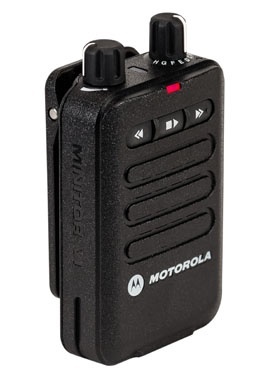 This allows you to record your own personal messages for on-the-scene reminders. Bluetooth enables you to pair your G1 pager with other devices. 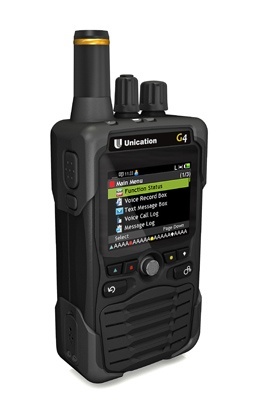 Unication's G4 Voice Pager is the industry’s first and only P25 voice pager. P25 Digital paging allows migration from a legacy 2-tone network to a P25 Network; which provides improved coverage, excellent voice clarity and superior reliability. G-Series Pagers now support three methods for P25 paging: TGID, Call Alert and Quick Call II over P25. 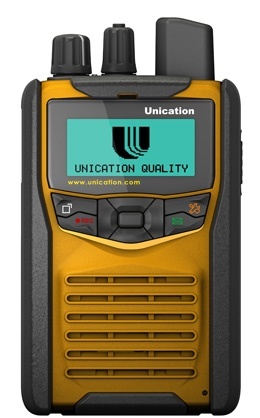 Unication's G5 Dual Band Voice Pager is the industry’s first and only P25 voice pager. P25 Digital paging allows migration from a legacy 2-tone network to a P25 Network; which provides improved coverage, excellent voice clarity and superior reliability. G-Series Pagers now support three methods for P25 paging: TGID, Call Alert and Quick Call II over P25.